Travis works with online retailers to improve sales and market share through consulting and strategy. Travis has been featured in Entrepreneur Magazine, ecommerceconsulting.com, Webretailer.com, Inspired Insider Podcast & Facebook For Business. Yahoo is approaching the final stretch in its deal to sell to Verizon. Yahoo announced in July of 2016 they are giving up and selling to Verizon according to Forbes Magazine. Thursday June 8th Yahoo shareholders will be voting on the sale to Verizon and it’s expected to be approved. Yahoo Store owners have been frustrated for years with the lack of innovation from Yahoo Store (formally known as Aabaco). Unfortunately, Verizon hasn’t announced any plans to improve Yahoo Store in the near future. 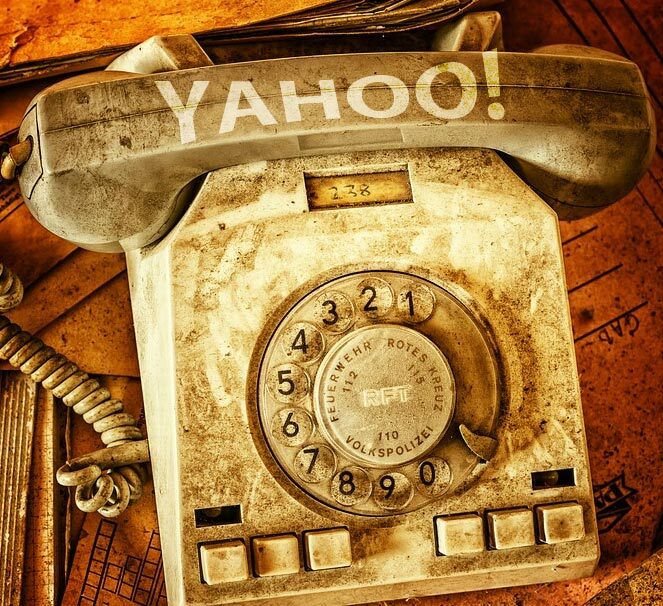 Yahoo was once top of the pops and has been reduced to another antique, picked up for pennies along with another old dust bunny, Aol.com. Yahoo Store owners have been struggling with Yahoo Store’s proprietary codebase called RTML for years now. By using this proprietary coding language, they eliminate the ability to easily integrate with modern apps and functionality. Modern online shopping carts like Magento and Shopify have grown in popularity from the availability of plugins to enhance and completely customize each solution. Most modern websites use Apps and Plugins for customization which takes much of the custom expense and work out of custom website builds. Yahoo Store also hasn’t been able to integrate with common cutting-edge eCommerce solution providers. Modern eCommerce stores use powerful 3rd party solutions like YOTPO, which is a robust product reviews plugin, or Dotdigital which is a highly integrated Email Marketing System. In both of these popular examples, Yahoo Store requires custom development up to $20k per integration and months for full implementation. That just isn’t feasible for most merchants. Modern websites using Shopify or Magento, can easily setup these integrations with the included app for little to no cost in a few days. How Many Yahoo Stores Are Still Around? A handful of Yahoo Store owners have reached out to us at Sharp Commerce in the last few months. They all wanted the same thing, help planning a jump from Yahoo’s sinking ship. According to Pymnts.com, Yahoo Store still hosts 41 of the 1000 largest online retailers in North America. That’s down from 65 of the top 1000 back in 2010. Our team has met with many successful Yahoo Store owners over the last year that were unable to get away from Yahoo Store easily because of elaborate, painful customizations they don’t want to rehash. Yahoo Store owners are stuck with two choices, hunker down with their limited feature set and hope for the best, or take the plunge and migrate to a more modern eCommerce platform to stay relevant in today’s eCommerce battlefield.